I’ve been a Sirius (now Sirius/XM) satellite radio subscriber for several years, and I’ve never paid full price for their service. When we first joined we received a new customer promotional rate. Whenever our subscription was about to expire, we’ve been offered another promotional rate. This doesn’t just happen, it takes some effort. Our current subscription was to run out at the end of this week, so it was time to contact the folks at Sirius/XM. I started by signing on to my online account, and initiating an online chat. I explained my subscription was up, and that I would not be renewing unless I could be offered a promotional rate. I stated that I was simply not willing to pay the regular price. My chat lasted over half an hour in total, with a manager even being brought into the conversation at the end. Unfortunately, the message was consistent; no promotions were available for my radio. I was surprised I hadn’t been able to score a lower rate, but I wasn’t willing to give up just yet. That evening my wife and I discussed our plan of action, agreeing that we’d even be willing to actually cancel the service for a short time knowing that within a month we would get â€œWe Miss You!â€ mailings along with special offers to return. I then called the customer care line and stated to the representative that my subscription was up, and I would like to cancel. I told her that the regular price was more than I was willing to pay. I was ready for the sales pitch as to why I should renew at the higher price. I expected to hear her tell me there were less expensive packages. I was ready for the hard sell. What I got was almost anti-climactic. I verified that it would be exactly what I had before, and then quickly agreed to renew. I got an all-access subscription for one radio which includes all their channels AND internet streaming. The radio is inside our family van, and we use internet streaming while at the gym, as well outside on our bluetooth speaker in the summer. The regular price of this service is $19.99 per month, but we got it for $9.99 a month. We saved 50% on our Sirius/XM satellite radio subscription. 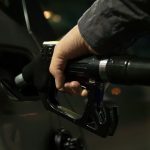 If you’re thinking of subscribing to Sirius/XM, or you have to decide whether to renew again or not, here are some tips to help you save money on your subscription. If you bought a new vehicle with a Sirius/XM radio in it, or if you buy a car stereo receiver that is Sirius/XM capable you will probably get a free trial subscription. Take advantage of it! Sirius/XM sometimes will post promotions on their website. Check to see what promotions might currently be offered. If none are listed, call their customer support number and ask. Never, EVER, sign up for the service online at full price. If you are a current subscriber, you can try the online chat or the usual customer support number to ask about promotions. However, I have a feeling that their standard answer will be no promotions are available making you feel as if you should just press the very convenient â€œrenewâ€ button within your account. You are unable to cancel your membership online. Buying or renewing the service is made as easy as possible, but they want a chance to talk to you personally before letting you leave. This actually works to your advantage. If you really want to quit, you will have to be forceful, but if you’re fishing for a deal, customer care is where you’ll have the most luck. Indicate you’re going to have to cancel because the price is too high and see if they offer you any promotions. If they are willing to let you cancel without offering you a promotional rate, then do it. We canceled once because we were cutting every non-essential expense for a time. We started receiving promotional rate offers within a month. It’s easy to start or renew a subscription to Sirius/XM. It can be done online in minutes without talking to a single person. But if you put in just a little effort, you can get the same subscription for much less. 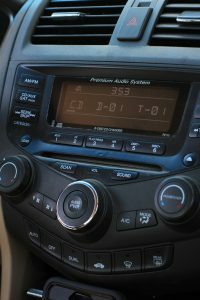 I’ve never paid full price for Sirius/XM subscription, and neither should you! I just got an offer for six months for $39 total. That’s $6.50 out of pocket per month which is great. I know that you can get around $5-7 per month but you often do have to let the service lapse before they get around to giving you that deal, so I was surprised to have received this while still a subscriber. That is a great deal, Money Beagle….do you know what plan that’s for? Maybe the Select package? Always being prepared to walk away is important when dealing with luxury goods like satellite radio. Although enjoyable, it’s possible to gain content for free (hopefully not stolen) on the internet. Thanks for these tips.